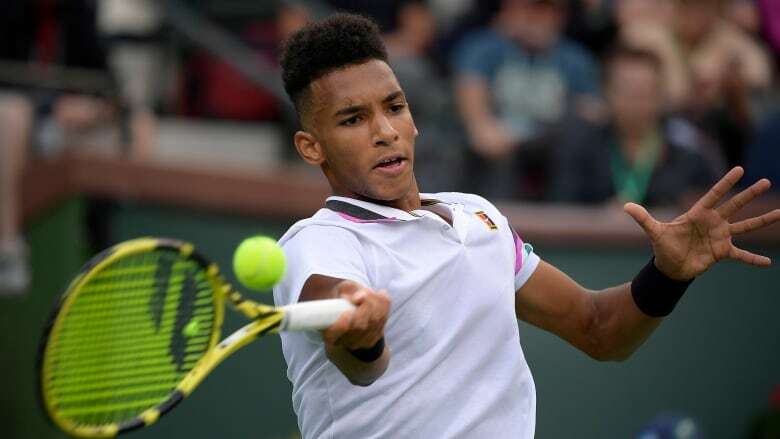 Canadian teenager Felix Auger-Aliassime advanced to the final round of qualifying at the Miami Open tennis tournament with a 4-6, 6-4, 6-1 win over Italy's Luca Vanni. EugenieBouchard of Westmount, Que., the second seed in women's qualifying, was upset 4-6, 6-0, 6-4 by Japan's NaoHibino. BiancaAndreescu of Mississauga, Ont., a winner last week at Indian Wells, is in the women's main draw and will play her first match on Wednesday against Irina-Camelia Begu. MilosRaonic of Thornhill (12) and Denis Shapovalov of Richmond Hill, Ont., (20) are seeded in the men's main draw and have first-round byes.